Heav’d, with strange pang, and deep resounds her groan. The night of January 16, 1750, was clear and calm at Stalbridge in Derbyshire. About 8 p.m., a not unfamiliar sight appeared in the north. A faint aurora sent up its beams for an hour or so before fading; then, about 9 p.m., an 'extraordinary phenomenon' took form in the southern sky. A vast semi-circular arch, like a rainbow, but very much larger and of a vivid red colour, sent up wavering streams almost to the zenith. It was later proved that this appearance had been seen from almost the whole of the British Isles, from as far south as Deal. On the evening of January 23, a fiery mass, described as an aurora borealis, moved very slowly from north to south directly over the city of Cork in Ireland. It was visible for about an hour, “and was tinged with so deep a scarlet, that it looked as if the city was in flames.” At Oxford on the same evening, a deep red light rose slowly in the north-east, sending out streamers of yellow and red light until it formed an 'iris' round the zenith. Then a second fiery cloud, larger than the first, rose to the apex of the sky. Now the phenomenon was directly above Oxford, throwing out rays of multi-coloured light, and onlookers acclaimed it 'a most glorious appearance'. On Thursday, February 8, about noon, the first earthquake of the year struck. It shook London. People felt the chairs in which they sat shaking, and heard crockery rattling on their shelves. The lawyers in Westminster Hall were alarmed, and in Grosvenor Square residents ran out of their houses. In Southwark, a slaughterhouse collapsed, and a chimney fell in Leadenhall Street. 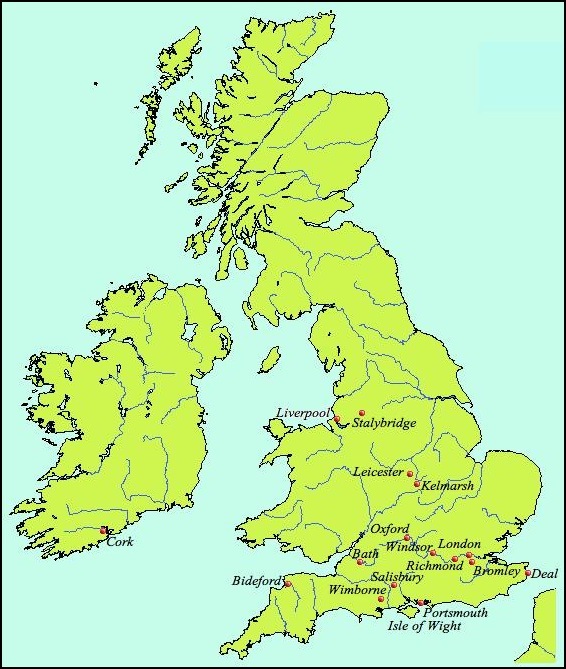 It seemed that the tremor was confined to the London area; it was 'just perceived' at Richmond in Surrey and Bromley in Kent, and not felt at all at Barnet, Deal, and Canterbury. The Gentleman's Magazine, (founded by Edward Cave, alias 'Sylvanus Urban', in 1731) which was interested in everything, told its readers that there were three kinds of earthquake; the 'Inclination', which was a vibration from side to side, the 'Pulsation', up and down, and the 'Tremor', “when it shakes and quivers every way like a flame.” Scholars were agreed that the origins of earthquakes were to be found in the underground voids with which the earth was believed to be honeycombed, especially in mountainous regions; but whether it was the surges of air, water or fire within these caverns that were the actual cause of the shock was still disputed. On February 27, the night sky was again strangely illuminated. That evening, from Salisbury, an arch of light extended across the horizon, 'wavering like flames issuing from fire.' After a short time it disappeared, leaving the sky glowing with a faint eerie light. ‘The lights in the air’ seen from Stalbrige in Derbyshire, 16 January 1750. from a drawing by ’S.B.’ in the Gentleman’s Magazine. On Tuesday, March 8, a month after the London earthquake, at about one o'clock in the morning, wakeful persons in the city thought to feel another quaver. For about half an hour after five o'clock, the sky flickered with continual lightning. Then this ceased, and a minute or two later, the earthquake came. The shock was more violent than that of February 8. Sleepers were awakened by it, and some were so alarmed that they ran from their houses almost naked. Those in the open spaces of the city felt the ground move 'very perceptibly'. Dogs howled. Church bells clanged. Crockery was thrown from household shelves; a lady of Piccadilly, a connoisseur of old china, had her collection instantly ruined. Several chimneys fell, and the earthquake claimed a victim, a maid in Charterhouse Square, who was thrown out of bed and broke her arm. Despite the minor damage, Londoners were worried. One earthquake was remarkable, but two earthquakes in a month was unprecedented. Were they a warning from God? The second tremor had been more violent. Was it another warning, delivered with more force? Thomas Sherlock, the Bishop of London, was sure of it. In a letter to the clergy and inhabitants of London, he called on them to “give attention to all the warnings which God in his mercy affords to a sinful people...by two great shocks of an Earthquake”. He pointed out that the shocks were confined to London and its environs, and were therefore 'immediately directed' at that city, and sneered at the 'little philosophers', who saw earthquakes only as natural phenomena. The bishop indicated some of the modern manifestations that must have aroused divine displeasure: vast numbers of books which either disputed or ridiculed “the great truths of religion”, the swearing and blasphemy constantly heard on the streets of London, and 'the unnatural lewdness', for which God had destroyed Sodom, which could 'hardly be mentioned without offending chaste ears'. One 'little philosopher', however, sought to reassure Londoners that the second shock had not been an earthquake at all, but an 'airquake', caused by an 'explosion of combustible matter in the atmosphere'. He pointed out that the sound before the shock was more like distant thunder than a subterranean explosion. Windows and beds had been shaken sideways, and, just before the shock, a 'vast ball of fire' had been seen in the sky to the west of London. The warmth and dryness of the spring, and probably the smoke from the coal-fires of the city, had increased the accumulation of sulphurous exhalations, and thence of meteors, which he believed to be composed of 'inflammable vapours'. An airquake was no more to be feared than a clap of thunder; it might throw down a few tottery structures, but also brought benefit by purifying the atmosphere. Another philosopher called the airquake notion 'whimsical'. The warm season was not confined to London, yet no-one else had experienced a quake. As for the ball of fire, another observer claimed that there was “a correspondence between the subterraneous air and the atmosphere. It is probable that...great concussions of the air do often, if not always, owe their origin to...exhalations lifting from below.” While the philosophers disputed, clergymen insisted that “Earthquakes are under the divine management, and are made use of by God to fulfil his pleasure”. Where fly the threaten'd wretches? Where? where, now? For wish'd relief? - To suppliant penitence? ...Ah! no. To plays, to sports! But it seemed that the Supreme Being's displeasure was not only with sinful London. On Sunday, March 18, at about 6 pm, Portsmouth and the Isle of Wight were shaken, and, as they trembled, the air vibrated to a noise like the firing of great guns. The shock was even felt, though faintly, at Bath. On Monday, April 2, at about 10 pm, Liverpool and an area about 40 miles round vibrated to 'a smart shock of an earthquake' for two or three seconds. 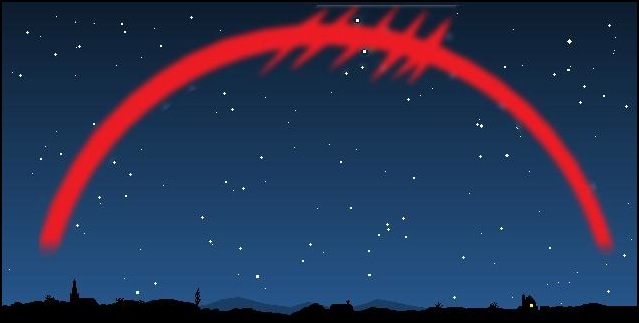 An apprehensive resident rushed outside, and saw, for fifteen minutes, a curious appearance in the heavens; “multitudes of blood red rays” converging from all parts of the sky to one dark point. Meanwhile, in London, a 'crazy lifeguardman' (Trooper Mitchell, of Lord Delaware's regiment of Life Guards) had joined with the Bishop of London in predicting disaster. The first two shocks had been four weeks apart; in four weeks from the second, there would be a third, and more disastrous earthquake. Some citizens, to the annoyance of the clergy, professed to be careless about the business, and sent each other cards: “I invite your ladyship to the Earthquake on ----- next'. Others were not so sure. The roads were thronged with vast numbers of people leaving the city. Some went to Windsor, or even further, and waited in the fields, or lay in boats all night. Many fashionable persons, wracked by 'superstitious fears, or their guilty conscience', waited in their coaches till dawn, expecting then to hear of the destruction of wicked London. London remained unscathed and unshaken, but earthquakes continued, as did strange sights in the sky. On April 20, between 8 and 9 pm, an auroral arch rose in the east-north-east at Biddeford and formed a 'scarlet cone' near the zenith. After a few minutes the cone turned white and faded away. On May 15 (N.S. ), in the morning, an area 20 miles round Wimbourn in Dorset was shaken by one violent shock, accompanied by a sound like the thunder of artillery. The summer was also remarkable for its thunderstorms. On July 11, as if to offer the clergy a substitute for an earthquake, the streets of London were flooded in a violent storm of thunder, lightning, rain and hail. Some hailstones were three inches round, and flat, like ice cakes. In mid-July, England was “shifted into the Torrid Zone”. Three days of great heat ripened the corn before its time; several labourers died in the fields, and many burdened horses fell dead in the roads.